The ultimate hybrid axe for technical couloirs and rugged alpine terrain, the Black Diamond Venom bridges the gap between classic piolet and technical ice tool. The curved upper shaft provides added clearance during technical ice and snow sections, while the traditional spike makes for smooth plunging on the uphill. The dual-density grip and included Lockdown Leash increase security when things get dicey. 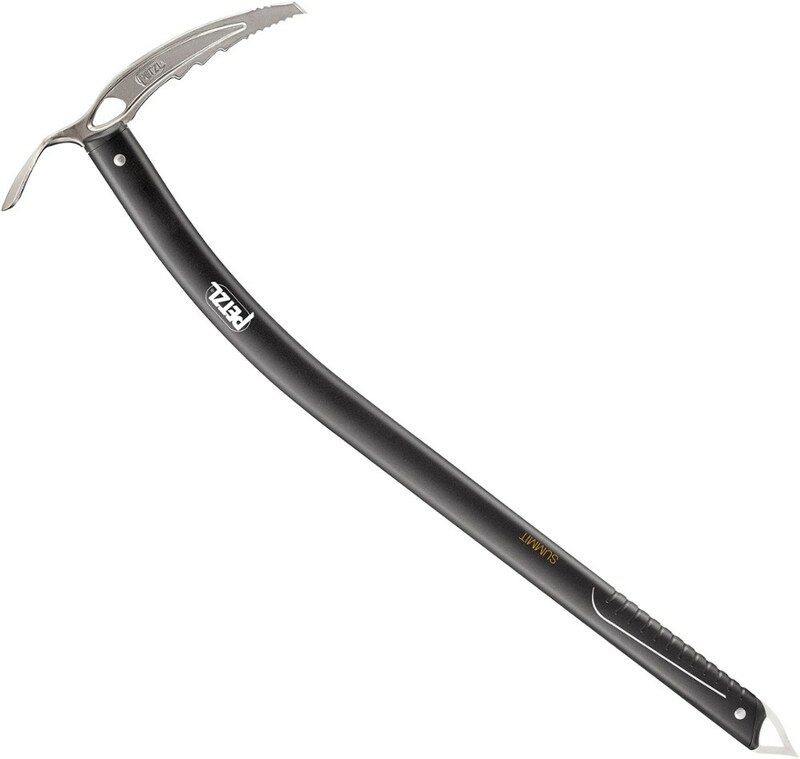 Visit Black Diamond's Venom Adze Ice Axe page. Black Diamond Alpine & Ice Climbing Venom Ice Axe-Adze-57 cm BD412101000057_1. The Venoms stainless steel head features a fully interchangeable pick design that is compatible with any Black Diamond pick. The integrated grip and asymmetrical angled shaft provide security and easy handling when swinging it like an ice tool and a sliding FlickLock pommel offers an adjustable second grip for choking up on steep snow. 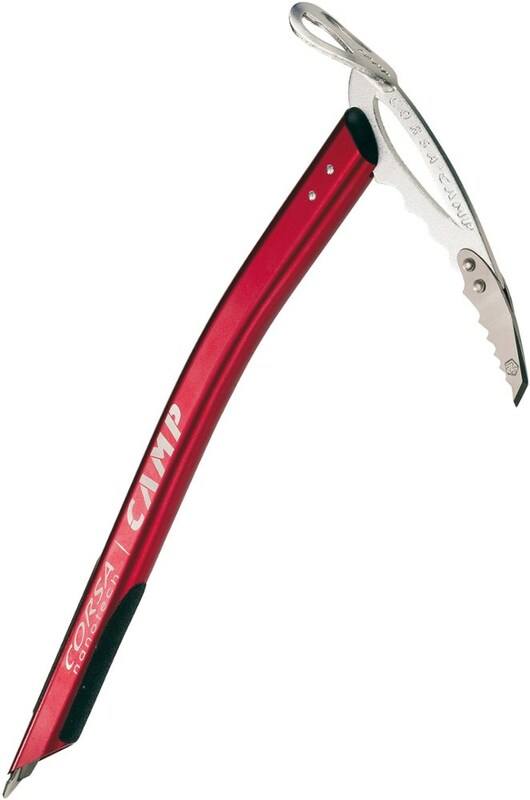 Perfect for light-and-fast ski mountaineering and alpine climbs, the Black Diamond Venom Adze ice axe offers an interchangeable pick, sliding FlickLock pommel and ergonomically shaped, angled shaft. 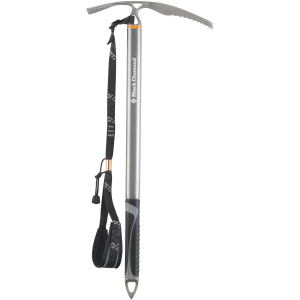 Half technical ice tool and half classic piolet, the Black Diamond Venom Adze Ice Axe is ideal for steep alpine climbs and ski mountaineering routes where some overhead swinging may be involved. The classic pick is made of a light but strong chromoly steel that is ideal for self-arresting. 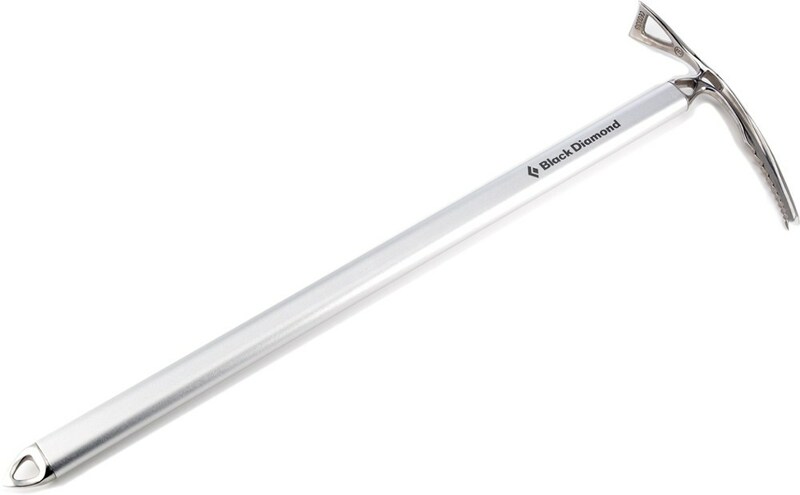 The curved aluminum shaft provides additional clearance when ascending steep colouirs, and the stainless steel spike provides an extra point of balance when traveling across snow fields.